Champion Chiropractic offers the following additional services to support your healing needs. We have world class massage therapists that have worked from Beverly Hills spas to the movie sets of Hollywood. They take their unique blend of various techniques and influences and create a stress melting, incredibly relaxing, spa-like experience. We offer full body massage for an hour to an hour and a half. The pressure can be adjusted to your preference, and can range from deep tissue Shiatsu and Rolfing, to light circulatory Swedish depending on you and what you like. It is well documented that massage improves blood and lymph circulation, helps in the reduction high blood pressure and cholesterol, and relaxes hypertonic muscles. We also offer couple discounts so you can both be on the same page. Ask receptionist for an appointment. Steve Boroumand graduated in 1992 from California Healing Arts College in Santa Monica, Ca. With 17 years experience, his many different massage techniques include Swedish, Deep Tissue, Acupressure, Shiatsu, Foot and Hand Reflexology, Pre and Post Natal, Sports Therapy, Myofacial Release and many more. 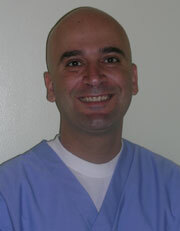 Steve loves his work and his goal is to provide each patient with the utmost care and relaxation. Acupuncture is the practice of inserting thin needles into specific body points to improve health and well-being. It originated in China more than 2,000 years ago. It has been found successful in treating a variety of conditions such as addiction, stroke rehabilitation, common cold, sinusitis, headache, menstrual cramps, smoking cessation, weight loss, tennis elbow, fibromyalgia, myofascial pain, osteoarthritis, carpal tunnel syndrome, and asthma. We have found it to be useful as an adjunct treatment with chiropractic therapy especially in severe trauma cases by helping to relieve inflammation and manage pain while the subluxations are being corrected and health is being restored. Acupuncture, like chiropractic, subscribes to the vitalist philosophy and promotes wellness by strengthening the immune system to keep the body healthy instead of only waiting to fix it when it’s sick. State of the art digital foot scanning technology will clearly show even the slightest bit of pelvic tilting, which is the root cause of most back and neck dysfunction. Orthotics can make a huge difference in helping to correct chronic low back and/or neck pain as well as foot, ankle and knee pain! Made to order in about a week. We offer a complete line of the absolute highest quality nutritional support products from Standard Process, Metagenics, Xymogen and more. When you are a patient, the highest form of nutritional products that are only available to health care professionals, are also available online. See our Online Store on the home page, register and order, and receive your supplements in the mail. It is that simple! Braces, chair back supports, and pillows all heavily researched and scientifically proven devises that can correct, restore, and maintain the cervical and lumbar spines to their correct arc and recommended by Dr. Schoneberger. They are available at our office. Ask us about them.